Winter storm incoming! Actually… incoming might not be the correct word. If you are reading this Friday afternoon, we are probably in the thick of it or with any luck it has moved through. A very moist Pacific frontal system stalled over the coast Thursday resulting in heavy rainfall for Metro Vancouver. The rain will taper off today as the front moves inland, but wet weather is in the forecast for the next few days and in the extended forecast as well. We will see rain lessening on Monday but things will also get colder so we could see snow for Squamish. We won’t even try to sugar coat it. 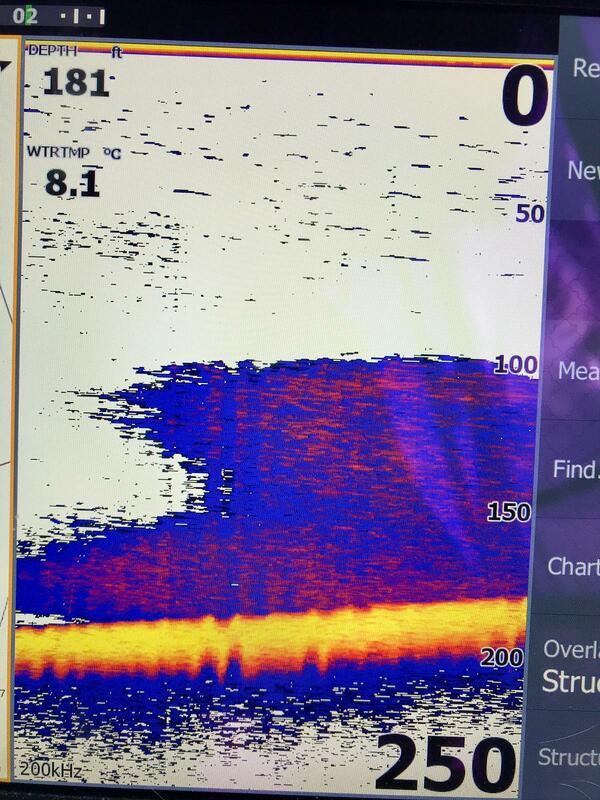 This is a bummer for fishing. Warm clothes and good raingear will be needed. River levels as we write this report (Thursday) are surprisingly not going up yet. This is probably due to it coming in as snow in the higher elevations, but the temperatures are still relatively warm and we expect rivers to rise. As always there can be moments of brilliant fishing when river levels are fluctuating but they can be hard to time. Check out all the intel in the specific reports below and if you’re looking to stay dry check our January course listing for all or upcoming classes. 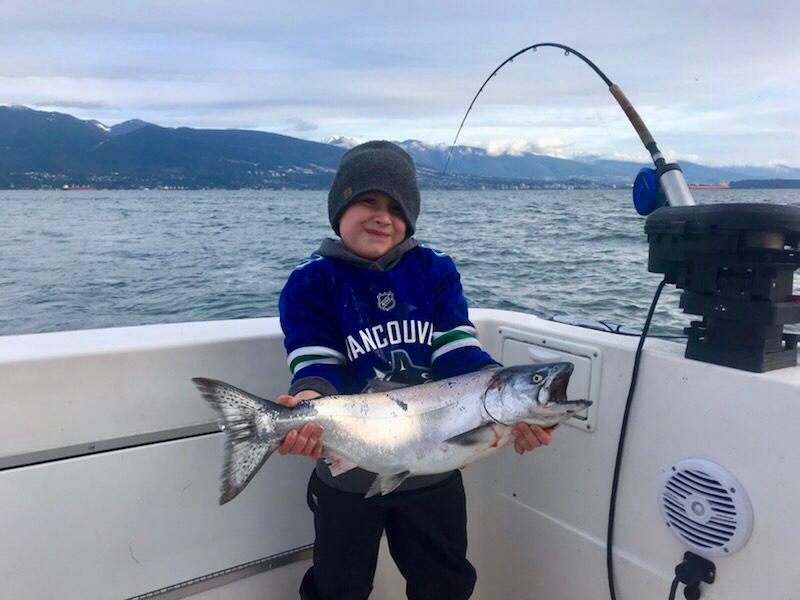 Last but certainly not least – mark you calendars for January 26, 2019 for the Steelhead Society of BC’s Annual General Meeting. Details are in the Industry Events and Updates section. 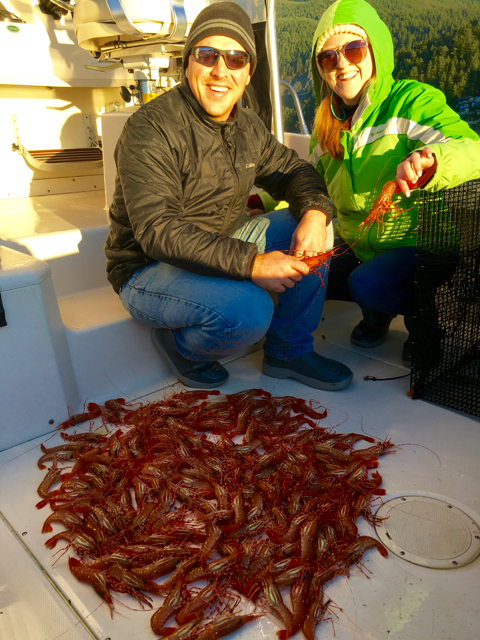 The Steelhead Society of British Columbia (SSBC) will be hosting speakers from the Wild Fish Conservancy whom will present on their selective harvest pound trap experiment on the Columbia River. 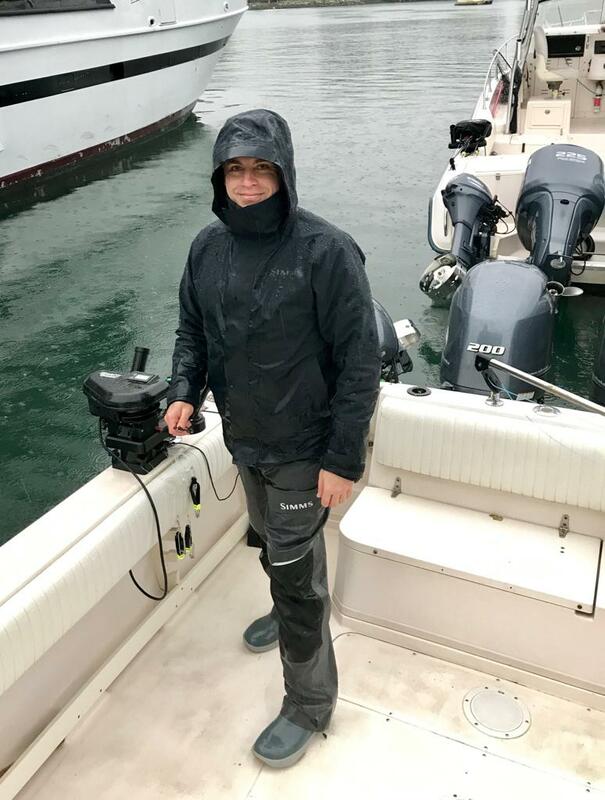 Also presenting will be Dave Moore from the Harrison Fisheries Authority (Sts’ailes & Sq’éwlets Fisheries) discussing his time as a fisheries technician working with Interior Fraser River steelhead populations and collaborating with local Aboriginal populations for future strategies. For more information and a meeting agenda visit the SSBC event facebook page. SSBC Swag and Membership renewals/sign-up available at this meeting. The kids are heading back to the classroom – so why not join them. We have a great line-up of classes in January and early February. Check out all of the details below. If you’re looking for classes later in February check out our website for all of our February courses including Introduction to Fly Fishing, Tying Bulltrout patterns, Tying Intruder Patterns and Introduction to Spey Casting. 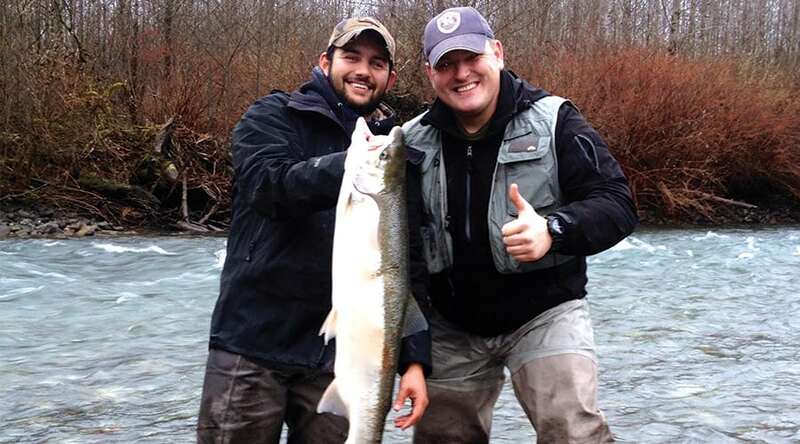 STEELHEAD FLOAT FISHING – Sold out, call the shop to join the waitlist! In this fishery, 10% of the anglers catch 90% of the fish. This is your chance to learn from the 10%! Our 3hr evening seminar will educate you on the gear, water types, conditions and other key variables that put veteran steelhead anglers in that 10%. Mastering this fishery will make you the envy of your friends. Upgrade your seminar to include a fully guided day on the water, putting into practice your new knowledge with a Pacific Angler guide. Seminar & Guided Walk’n Wade Cost: $275.000 per angler, minimum of 2 anglers per guided day on the water. FLY FISHING EGG PATTERNS – 1 Spot Left! This course is designed to teach you the secrets to one of the most productive presentations in the BC fly fishermen’s arsenal; nymphing egg patterns. This deadly method can be used for different species of trout, char, and salmon. During a 3-hour evening seminar we will teach you key concepts, strategies, and gear that will give you a well-rounded foundation during the seminar portion of the class. Then you will put those skills into practice during a fully guided day on the water. 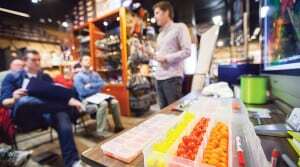 INTRODUCTION TO FLY TYING – 2 spots left! There is no greater satisfaction than catching a fish with a fly you tied yourself. This course was specifically designed to give you the fundamental skills needed to tie proven fly patterns used here in BC for trout, salmon, and steelhead. This course consists of 3 sessions; each session is 3hrs. Students are required to supply their own vise, tools and materials. A 10% discount is available on materials and tools purchased for the course. TYING ESSENTIAL STEELHEAD PATTERNS – 2 spots left! This course is designed for the fly tyer looking to get the best start on tying steelhead patterns. 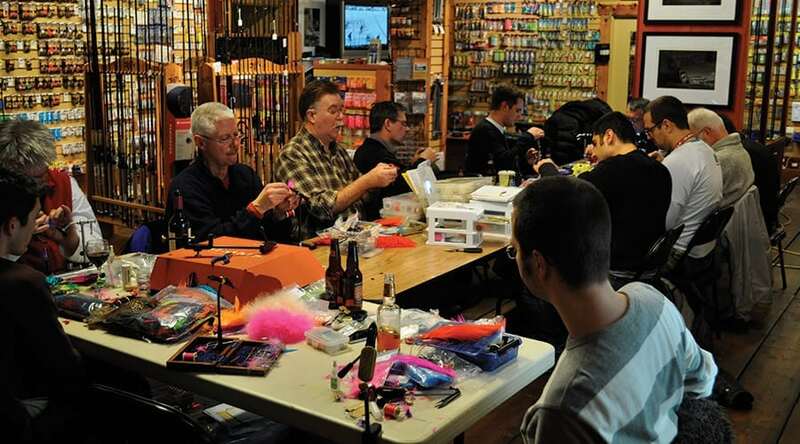 In the 3-hour evening seminar your instructor will cover everything from tying techniques, material and colour choices, size and weight. They will walk you through 3 essential patterns that will build a well-rounded steelhead fly box. If you’re looking to get yourself into tying your own flies for steelhead, this is the course for you. This course is suitable for fly tiers with a basic knowledge. Students are required to supply their own vise, tools and materials. A 10% discount is available on materials and tools purchased for the course. Over 50 million salmon migrate past Vancouver annually. Learn how to catch these fish with a Pacific Angler. This course offers an in-depth look at the local saltwater scene. 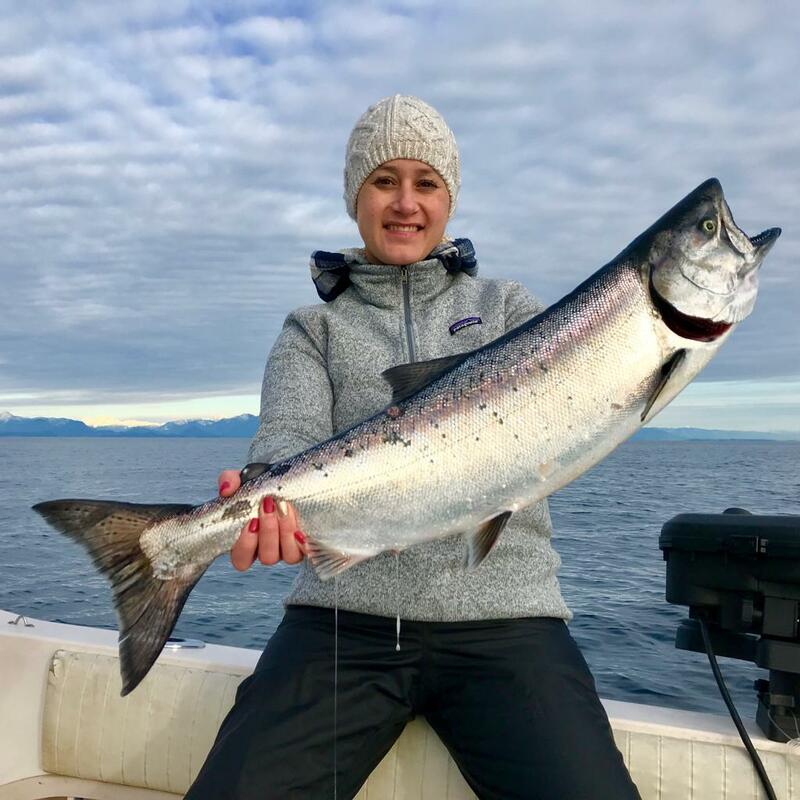 We cover the local saltwater salmon fishing for the entire year, showing you the how, when, and where. 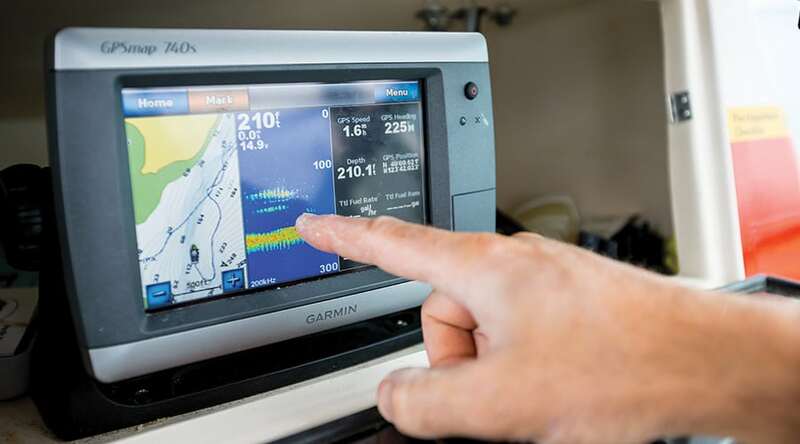 This course includes a 6hr weekend seminar and a fully guided day on the water in one of our Grady Whites. Dates:Seminar: Feb 3 Guided: Feb 8, 9, 10, or 11 MORE DATES TO BE ADDED! Seminar Time: 9:00am – 4:00pm – with a one-hour break for lunch. There are two restaurants on site for students to have lunch at their cost. Coffee/Tea and water will be provided. Happy New Year to all you eager steelheaders out there! 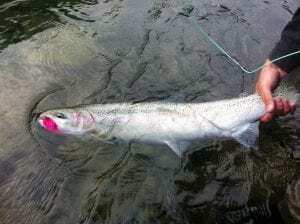 To bring in 2019 I’ve got some good news and some bad news regarding the steelheading on the Vedder. We had a bump of fish come through mid-week and a few anglers lucked out with some beautiful fish. However the river came up with the rains and we are expecting quite a bit of high water coming up with lots of rain still in the forecast for next week and above average temperatures. This doesn’t mean they can’t be caught, but you will want to search for those few holding spots that they will hunker down in and grind them out with bigger presentations. Think large profiles, bright colours, and lots of movement/flash to get their attention. Upsizing your bait works wonders as bait will leave a scent trail, but for those that don’t want to get messy with roe or shrimp you can still get them on artificials like size 4 colorados and 6 inch pink worms given that the river isn’t completely blown out. Most importantly, keep an eye on the forecast and water levels for the day you plan to go. The storm is pounding the Squamish as I write this report but at least for now the water levels are holding. Even with an optimistic view, I do not see them holding much longer and expect high river levels this weekend. This might not mean unfishable conditions. There might be snow in the forecast up the valley and this will take the edge off any major river level issues. For today we expect fishing to be a challenge and it will probably drag into Saturday but if we start seeing the river drop Saturday/Sunday the bulltrout fishing should pickup and could be excellent. Go prepared with larger egg presentations, spoons that have a heavier thump and streamer patterns with large profiles to combat potential dirty water. When the weather has cooperated we have had good bulltrout and rainbow fishing over the last 5 days so it is well worth the trip if you can time the weather. This is a system that is not talked about much in January, but the Chehalis and Harrison have some interesting opportunities for bulltrout, cutthroat and steelhead. The system comes with some caveats and it is not for the angler that doesn’t like to hike, put boots to ground and on occasion climb some pretty treacherous terrain in the name of fishing. The other interesting thing of note about this system is that rain effects if differently that the Vedder and other systems in the area. The standard joke is that if you don’t like the river level, go back to your truck, have a coffee and then check again. It blows out fast, changes quite often but then also comes back in shape fast. We have heard of the odd steelhead and some worthwhile bulltrout fishing so if you are looking for an alternative know that it may not have many fish but if you put in the time it is worth the effort. The Stave can be a good one to have on your hit list when we see weather like this. You can drive out for one of the other systems and if things don’t go as planned the Stave is a good backup. It is dam fed so it doesn’t always blow out when there is a ton of rain. There is a good population of whitefish as well as bulltrout, cutthroat and steelhead. If you want to target whitefish you will need very small hooks. Their mouths are small and the standard egg rigs don’t work well. If you go out, fish through a run with your standard bulltrout/steelhead setups but if your indicator or float keeps going down without hooking up, have egg rigs with small hooks ready to go. On a light spinning rod or 3-4wt fly rod they are a ton of fun. They can open the dam at any given time and if you have waded to areas through deep water you might have issues getting back. Keep your eye on the water’s edge and be safe out there.